As the chimney sweep contractor of choice for Sandy Springs GA and the surrounding towns and communities, we provide chimney cleanings, chimney inspections, chimney relining, chimney rebuilding, chimney waterproofing and more. Residents in Sandy Springs GA, Canton GA, Alpharetta GA, Marietta GA, Buford GA, Smyrna GA, and Roswell GA turn to us for their annual chimney maintenance & inspections. 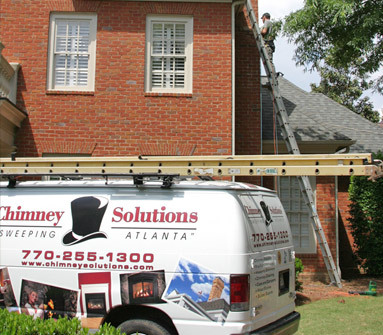 Chimney Solutions is the trusted chimney service provider for the Greater Atlanta area. We employ CSIA certified & trained chimney technicians so homeowners can expect high quality workmanship & dependable service when hiring us. With nearly two decades of chimney service under our belts, we’ve built up a great reputation with local residents. Your satisfaction is our guarantee, and we are glad to stand behind the work we complete. From chimney liner installations to chimney crown sealing, chimney flashing repair, firebox rebuildling, fireplace makeover packages and more, our professional & courteous technicians are here to deliver the results you expect at a price you deserve. Be on the lookout for our company vehicles as they travel along Interstate 285, and up & down Rt 400 and Lake Forrest Dr. From Mt Vernon Hwy to Abernathy Rd, our chimney pros can be found working on venting systems, fireplaces, stoves, and chimneys across the area. With nearly 2 decades of experience, we can handle even the toughest chimney problems with ease. We only hire CSIA trained and certified sweeps so every job will be completed to the highest of industry standards. Our company is fully insured and our courtesy crew will always arrive at your home on time, in full company uniform, in a company truck, and will make sure to leave your space as clean, if not cleaner, than it was when they arrived. 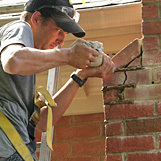 Residents in Sandy Springs GA have come to expect fair prices, quick responses, and the highest quality workmanship from our team of chimney experts. We also remain members of the National Chimney Sweep Guild and the Chimney Safety Institute of America to ensure we stay on top of changing industry standards and best practices. Remember to take heed when hiring an unknown chimney sweep company. You may run into a “cheap sweep” in your quest to find a chimney contractor, but think twice about hiring these unscrupulous companies. They are known for advertising chimney services at extremely low prices which can bait in homeowners that are on a budget. Unfortunately, they use this tactic to score the job, but when they get to your home, they either perform a quick & shoddy job so they can move on to the next customer, OR they attempt to scare the homeowner into agreeing to expensive service repairs. In many cases these repairs are neither warranted nor necessary but they use the homeowner’s lack of knowledge on chimney systems to their advantage. Before agreeing to extensive and costly chimney repairs, get a second opinion from a reputable chimney sweep first! 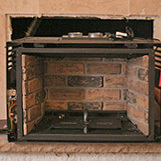 Don’t pay more than you have to and don’t let the safety of your chimney & venting system rest in the hands of amateurs. Sandy Spring GA chimney sweeps offer service for chimneys, fireplaces, fireplace inserts, heating stoves, venting systems and more. Call today to schedule your annual chimney inspection and chimney cleaning. Oct 14, 2016 by Shannon K.